You can now buy a Big Mouth Billy Bass that works with Amazon Alexa. The fish’s lips will even sync up with what Alexa is saying. It costs $US40 from Amazon. 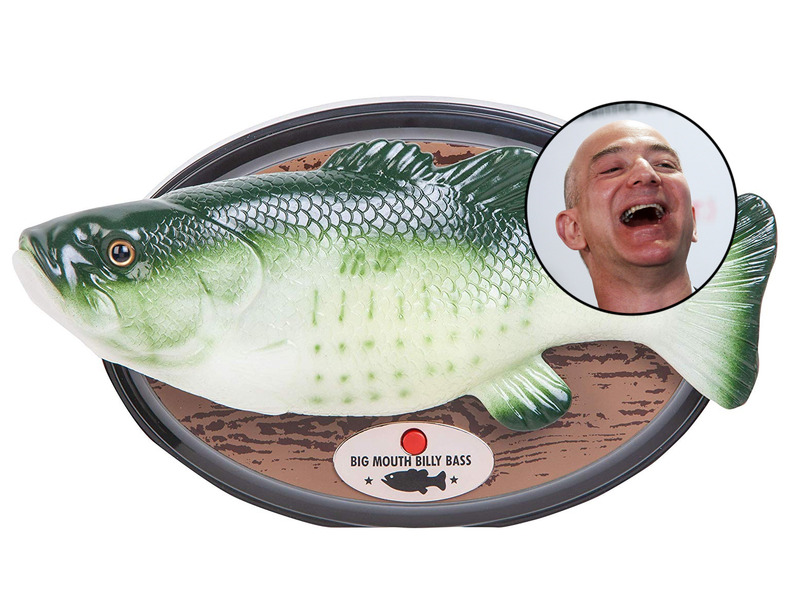 On Tuesday, preorders opened for a Big Mouth Billy Bass that connects to Amazon’s voice assistant, Alexa. Because it supports Alexa commands, you can ask the fish about the weather, news, or random facts. It’s officially an “Alexa gadget,” an Amazon certification. It costs $US40 on – where else – Amazon.com. “This is not your father’s Big Mouth Billy Bass,” said Steven Harris, vice president of product development at Gemmy Industries, which is the Big Mouth Billy Bass parent company, in a statement. The original Big Mouth Billy Bass was first sold in 1999 and plays short songs like “Don’t Worry, Be Happy.” It’s been a kitschy favourite in dens and recreation rooms ever since. This version has the original “Fishin’ Time” song built in, too. Amazon announced the Alexa-compatible Big Mouth Billy Bass last year.